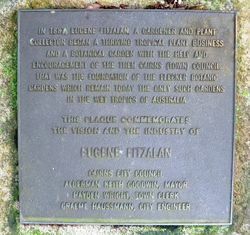 The Fitzalan Gardens commemorate Eugene Fitzalan, the first curator of the Cairns Botanic Gardens from 1887 to 1897. 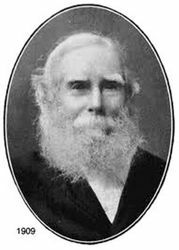 Eugene FitzHerbert Albini Fitzalan was born in Ireland in 1830, and he trained in horticulture, was a gardener in London, collected plants in Brazil and migrated to Melbourne in 1849. He laid out gardens there and in Geelong. He moved to Brisbane and joined Lieutenant Smith’s 1860 expedition in the schooner ‘Spitfire’ to explore the Burdekin River estuary, Cleveland Bay and Magnetic Island. Fitzalan was the plant collector and provided material to Ferdinand von Mueller including the type material for Gardenia fitzlani named by von Mueller after him. He moved to Port Denison (now Bowen) in 1862 where he established a large nursery. 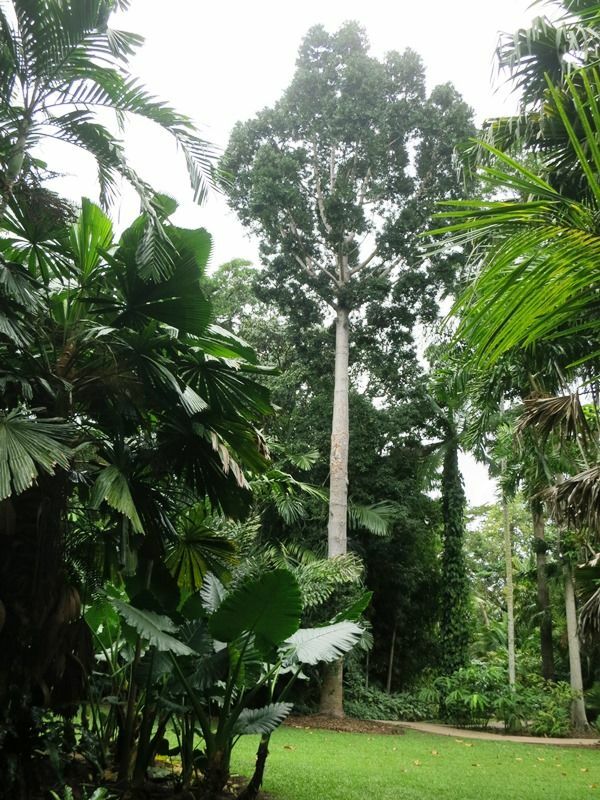 He moved to Cairns in 1887 and ran an export business in native plants and became the curator of the Botanic Gardens and collected widely in north Queensland for von Mueller. He retired to Brisbane in 1897 and died there in 1911. He is commemorated by having many plants named after him.